Located on magnificent Rawai beach, The Title Condominium Rawai Phase 3 is considered to be the best project in the South of the island. Built by Rhom Bho Property Public Company Limited, the Developer of previous Phases, with the brand’s original concept, to bring together the contemporary architecture in harmony with the natural environment. The beautiful beachfront location is close to shopping, facilities and tourist attractions, seafood restaurants and shop massage are just in walking distance. The main highlight of The Title Condominium Rawai Phase 3 is the project’s improvement and development from the previous projects in design, materials, and utility. Furthermore, the significant change in the use of genuine teakwood flooring for all unit is reflected in beauty, luxury, and durability. Designed with absolute care and attention to detail, making sure that every bit of useful space is used, well thought out and fully utilized,we offer the large common area with ripple bright blue swimming pools, walkways, and fitness surrounded by tropical jungle. Every detail is overseen to make sure your every step within the project is met with peace and simplicity, filled with joy and fascination. Guest can experience the beautiful atmosphere of nature surrounded by tropical greenery and the bright blue of the pool. Experience the ultimate freedom in our tropical oasis – Phase 3 green garden. Feel free to use capabilities of common area, including 3 swimming pools, 2 saunas and a fitness room. 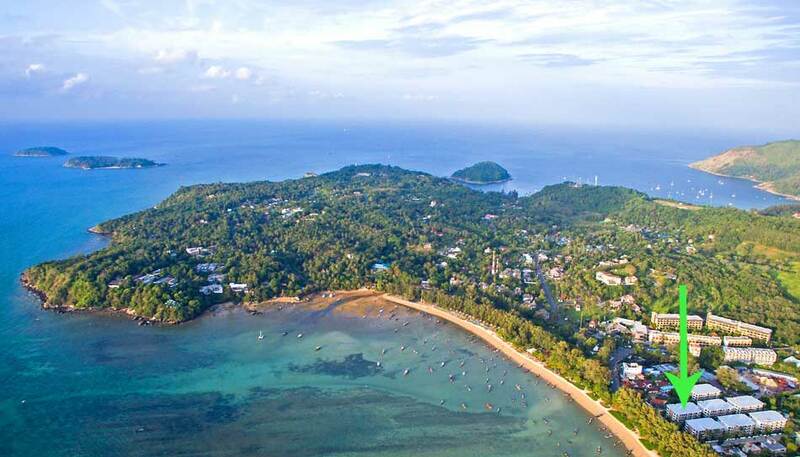 Located on the magnificent beach of Rawai, The Title Phase 3 is considered to be the best project on Rawai Beach. Emphasizes simplicity with the quality of the material, the elegance of the wood floor, the wall and of the furniture that is suitable for use. At the right and reasonable price, the developer choose the materials based on clients’ needs, most cost-effective and on sustainability. With the Project’s distinct features and Guarantee Return program, we can ensure it’s well worth investing your money and time. The Title Phase 1 and Phase 2 have been very well received as a confirmation of their reliability and success.